Złote Arkady not only offers you high-standard accommodation but an opportunity to arrange active and exciting holidays as well. 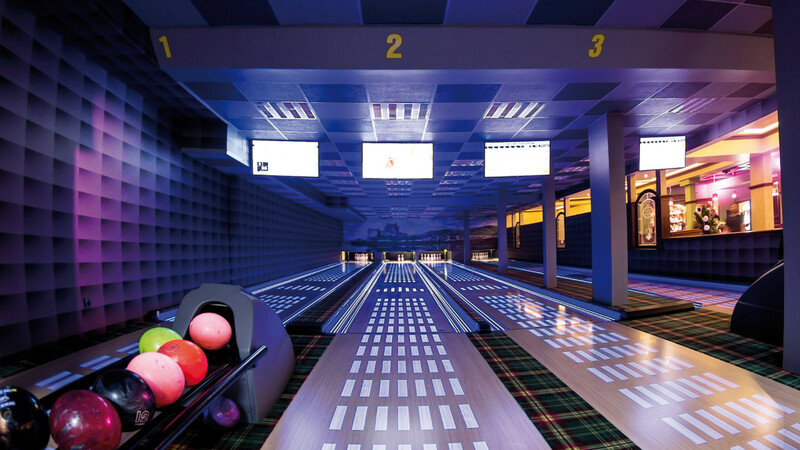 If you are looking for a team building activity or you want to spend some quality time with your friends and family our newly-opened four-lane bowling alley with computer score system offers all that and more. Bowling is a year-round sport, suitable for all ages, constantly growing in popularity. And after a few rounds of that game, we invite to you to sit back and relax in our pub, enjoy good music, top-shelf liquors and delicious meals served by our Chef.